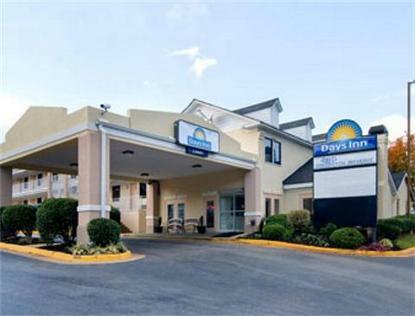 The Days Inn Airport Best Road is located conveniently to Hartsfield-Jackson Airport. We are a great place to stay if you need to stay one night or many. We are minutes from the Georgia International Convention Center, and Downtown Atlanta with all its attractions such as the new Georgia Aquarium, World Congress Center, Centennial Olympic Park, the Zoo and much more. We offer all the conveniences of home with our free Daybreak Breakfast, USA Today, guest laundry and meeting facility. We are also a pet friendly hotel. We offer free shuttle service to the airport. From the airport Marta is available to take a train to downtown Atlanta. Hours of the airport shuttle are 4:00AM-2:00AM, courtesy phone dial #12 at Airport for pickup from the Airport Check out our Park N Fly Packages, Park N Fly Rates available $69.00 plus tax with 7 days parking included Park N Fly Rates available $79.00 plus tax with 14 days parking included Long Term Parking available for $5.00 per day. Room Not Included.